Sponsorship consolidates technical infrastructure and support for OSI’s web hosting and administrative systems. PALO ALTO, Calif. - Sept. 2, 2015 For years the Open Source Initiative® (OSI), along with a dedicated corp of volunteers, managed a variety of internet services hosted on infrastructure distributed across multiple providers. For OSI staff and volunteers working to support the ever-growing open source software movement, this created complexity and inconsistency. Today, through a generous corporate sponsoship agreement, the OSI is pleased to announce Gandi.net as the organization’s primary serivce provider, offering hosting and professional support services for the non-profit’s web based services. Originally founded in 1999 to create an alternative and independent line of Internet services, today Gandi.net enjoys an international profile with offices in Luxembourg, France, Taiwan and the United States. Clients range from individuals, associations, and small companies, to public institutions such as the European Union and large multinational corporations. In fact, today Gandi.net has more than 1,700,000 domain names from 192 countries, which places the company among the top domain name registrars worldwide. As part of their corporate sponsorship, Gandi.net will be donating professional hosting and support services for the OSI’s Drupal and CiviCRM environments (opensource.org), Mailman email lists, and other web related applications and services. “Gandi has long been committed to the Free and Open Source Software community, providing invaluable support to open source software projects in need of a high quality registrar, hoster and SSL Certification Authority,” said OSI Board Director Paul Tagliamonte. “The Open Source Initiative is so very thankful for Gandi’s support. We're thrilled to enter into this partnership with Gandi who has again proven their commitment to FOSS and as an ally in our mission to protect and promote Open Source, worldwide,” added Tagliamonte. Stephan Ramoin, CEO of Gandi, affirms: "We are thrilled to welcome OSI into our family of supported projects. They embody the open source philosophy: professional, reactive, idealistic, dedicated, and genuinely fun. In short, OSI is just the kind of organization who can be trusted to ensure the brightest possible future for open source." The OSI Corporate Sponsorship Program recognizes the growing interest among companies from across a variety of sectors in supporting open source software projects, development and communities. Corporate sponsors enable the OSI to continue its important work of promoting and protecting open source through awareness, advocacy and by building bridges between open source communities of practice. The program provides an open and transparent mechanism to allow corporations to show their support for the open source software movement and the activities of the OSI, increase the diversity of stakeholders and viewpoints within the OSI & among the OSS community, and raise funds for OSI operations. 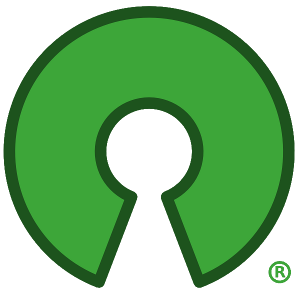 Founded in 1998, the Open Source Initiative (OSI) protects and promotes open source by providing a foundation for community success. It champions open source in society through education, infrastructure and collaboration. The OSI is a California public benefit corporation, with 501(c)(3) tax-exempt status. For more information about the OSI, please visit: opensource.org.